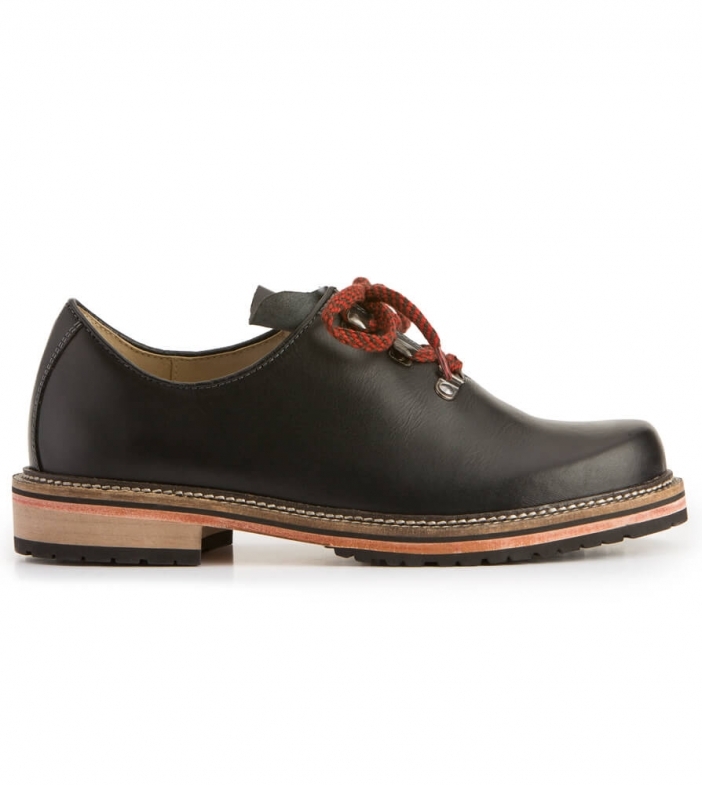 Men’s Leather Shoes 6082 in Black. Putting your best foot forward is easy when you choose to step out in these smart black shoes. Both the outer and inner parts of the shoes are made from genuine leather that is given a matt black finish, while the synthetic soles feature a striking design in three colours that really draws the eye. The brick red laces that run up the front through metal eyelets make these shoes anything but boring, while they are still smart enough to wear for formal occasions when style really counts or even to the office if you wish. Super-Klasse Haferl. Sehen gut aus, passen optimal zu jeder Art von Tracht und auch ohne Tracht. Toll auch die zwei verschieden farbigen Schnürsenkel zum Wechseln.